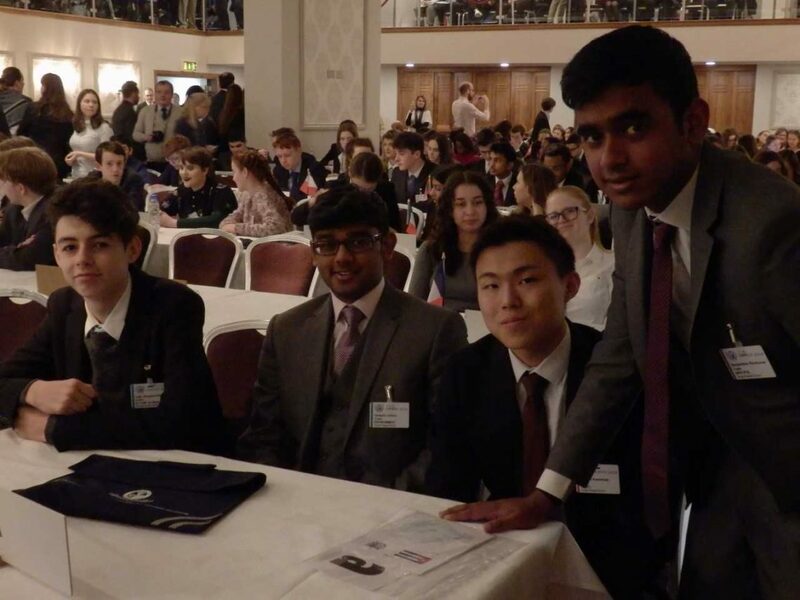 Eight Royal Russell students attended the 30th Dublin MUN conference representing Cuba and providing two advocates to the ICJ. A big highlight was the success of Stevie and Lucas representing the UK, India and Pakistan in the ICJ in a case brought by Marshall Islands. The quality and success of the ICJ hangs on the hard work, preparation and presentation skills of the two pairs of advocates and Stevie and Lucas were faced with a very good pair of advocates from Terenure school and a very impressive group of judges under Mr Stern’s guidance. Stevie and Lucas were brilliant – working really well together and producing an excellent case. They say the ICJ isn’t about winning and losing but 16 of the 20 Judges come down on their side on every count! Otherwise we had an inexperienced team representing Cuba led by Davlesh, who made an excellent opening speech, spoke on almost every topic and won a Highly Commended award. Ana-Maria also spoke on a number of her own amendments and managed to get her resolution successfully debated in her committee. Saayeethen, Keitaro, Gedi and Jago all spoke in their committees and made friends with other international students. As always the St Andrews staff and students were incredibly welcoming and our students had a great time capped by our delegation meal complete with Irish folk singers and a number of river dancers.